Summer summary: The summer movie season doesn't end until Labor Day, but we don't have to wait till then to find out who the big winners were. The final numbers for the Top Ten summer boxoffice hits won't be much different from where things stand right now. Here's a quick rundown of what moviegoers spent the most time and money on to see this summer, which is a week longer than it was last year because Labor Day falls on Sept. 7. Of the Top Ten films, seven were in 3D, seven were action films, six were rated PG-13 and six were linked to hit franchises. There also were two PG rated animated features and two R rated titles. Four of the biggest hits opened in May, the most for any month, which says something for getting an early start. 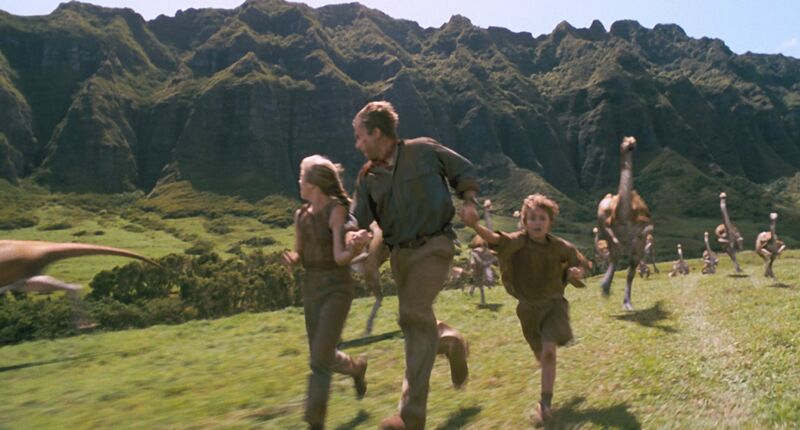 The summer's top grossing film -- and also this year's big winner to date -- is Universal, Legendary Pictures and Amblin Entertainment's PG-13 rated 3D sci-fi action adventure "Jurassic World"with $643.1 million through last weekend. Directed by Colin Trevorrow ("Safety Not Guaranteed"), it opened June 12. Starring are: Chris Pratt, Bryce Dallas Howard, Judy Greer and Ty Simpkins. Steven Spielberg's "Jurassic Park,"which grossed $357.1 million domestically in 1993. Second place on the summer chart goes to Marvel Studios and Disney's PG-13 rated 3D action adventure fantasy "Avengers: Age of Ultron"with $457.5 million. It's also this year's second biggest grossing title. Directed by Joss Whedon, writer-director of "The Avengers,"it opened May 1. Its ensemble cast includes: Robert Downey Jr., Chris Hemsworth, Mark Ruffalo, Chris Evans, Scarlett Johansson, Jeremy Renner, Don Cheadle, Aaron Taylor-Johnson, Elizabeth Olsen, Paul Bettany, Cobie Smulders, Stellan Skarsgard, James Spader and Samuel L. Jackson. Working in its favor were its broad playability to moviegoers, being part of the Marvel family and being descended from "The Avengers," which grossed $623.4 million in 2012. 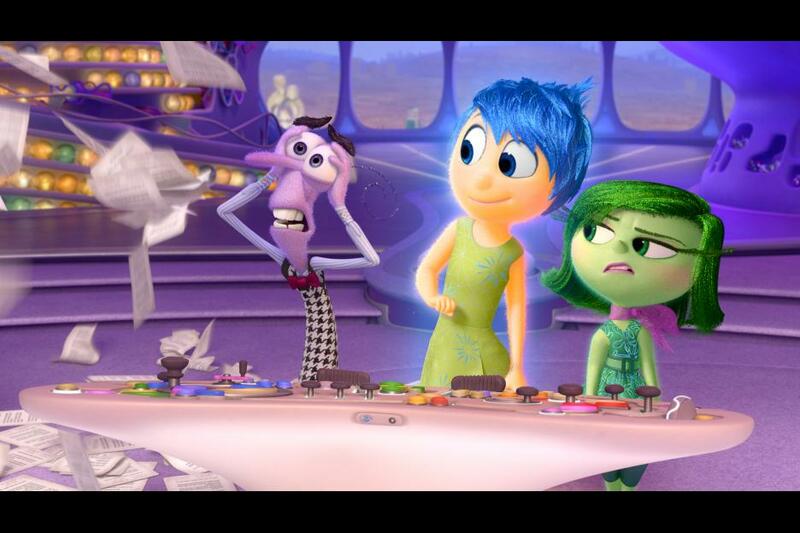 Number three for the summer is Disney and Pixar Animation Studios' PG rated 3D animated comedy "Inside Out"with $344.5 million. Driven by Pixar's brand name in family entertainment, "Inside,"which opened June 19, attracted the moms-with-kids audience that animated features must bring in. "Inside"is an original -- one of only four films to make the summer Top 10 that aren't sequels or franchise episodes. Directed by Pete Docter ("Up") and co-directed by first time feature director Ronaldo Del Carmen, it stars the voices of Diane Lane, Mindy Kaling and Amy Poehler. Family entertainment also captured fourth place for the summer asUniversal and Illumination Entertainment's PG rated 3D animated comedy adventure "Minions"took in $324.8 million. Directed by Kyle Balda (co-director of "The Lorax") & Pierre Coffin ("Despicable Me" one and two), its voice stars includeSandra Bullock, Jon Hamm, Michael Keaton and Pierre Coffin. "Minions" played very well to families just as "Inside" did. It helped that "Minions" came into the marketplace July 10, which was three weeks after "Inside's" launch. That timing provided enough breathing space between the two animated family features so they did not cannibalize each other's audience. The franchise's last episode, "Despicable Me 2,"did $368.1 million domestically in 2013. Fifth position for the summer went to Universal and Gold Circle Films' PG-13 rated music comedy "Pitch Perfect 2"with $183.8 million. Directed by first time feature director Elizabeth Banks, it opened May 15. Starring are: Anna Kendrick, Rebel Wilson and Hailee Steinfeld. This was a major girl power win at the boxoffice, performing best with under-25 females and next best with women over 25. The first"Pitch Perfect" grossed $65 million domestically in 2012. The summer's sixth ranking winner isParamount, Skydance Productions and Bad Robot's PG-13 rated 3D action thriller "Mission: Impossible – Rogue Nation"with $170.4 million. Directed by Christopher McQuarrie ("Jack Reacher"), it opened July 31. Starring are: Tom Cruise, Jeremy Renner and Simon Pegg. "Rogue" played best to action fans – typically, men under and over 25 -- but it also had the advantage of good playability to adult women because of Cruise. The franchise's last episode, "Mission: Impossible – Ghost Protocol," did $209.4 million domestically in 2011. 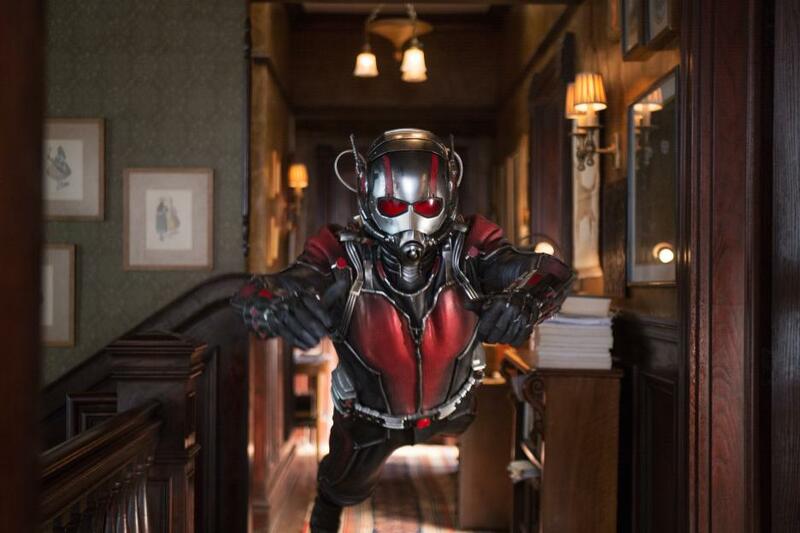 The summer's seventh top film is Marvel Studios and Disney's PG-13 rated 3D sci-fi action adventure "Ant-Man" with $169.2 million, one of four originals to make the summer list. Directed by Peyton Reed ("The Break-Up"), it opened July 17. Starring are: Paul Rudd, Evangeline Lilly and Hayley Atwell. "Ant-Man"benefited not only from being part of the Marvel universe, but also from having more family appeal than superhero driven films typically do. The eighth ranking film for this summer is Warner Bros., New Line Cinema and Village Roadshow Pictures' 3D PG-13 action thriller "San Andreas" with $154 million, also one of four originalsto make the summer Top Ten. Directed by Brad Peyton ("Journey 2: The Mysterious Island"), it opened May 29. Starring are: Dwayne Johnson, Alexandra Daddario and Carla Gugino. "San" played well to the male action audience, but it also attracted a broader audience because of its family storyline. Number nine for the summer is Warner Bros. and Village Roadshow's R rated 3D action adventure thriller "Mad Max: Fury Road" with $152.9 million. Directed by George Miller ("Mad Max," "The Road Warrior," "Mad Max Beyond Thunderdome"), it opened May 15. Starring are: Tom Hardy, Charlize Theron and Nicholas Hoult. "Fury"did best with men over 25 and next best with under-25 males. The "Mad Max" franchise goes back to 1980. A second episode ("Road") opened in 1982 and a third ("Thunderdome") opened in 1985. The three titles did a total of $68.6 million, which was big business then and would probably add up to about $175 million today. Tenth on the summer list is Universal and Legendary Pictures' R rated urban music drama "Straight Outta Compton"with $134.1 million domestically. Directed by F. Gary Gray ("Law Abiding Citizen"), it opened Aug. 14. Starring are: Dr. Dre, Easy-E, Ice Cube, MC Wren and DJ Yella. "Compton" is a strong urban appeal drama –one of the Top Ten's four originals -- that played best to menover 25. It topped the boxoffice chart last for the third time last weekend with $13.2 million and insiders think it could hold on to the top spot over the upcoming Labor Day holiday weekend. Bottom line:Hollywood found, once again, that what works best at the summer boxoffice are PG-13 rated 3D action adventures with franchise connections.